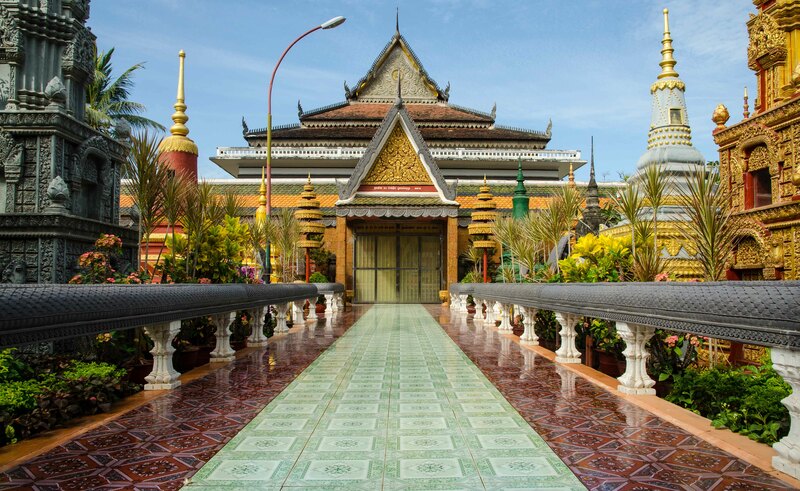 Our Luang Prabang Family Adventure is the ideal Laos tour for kids and adults. Combining outdoor activities, cultural touring and an overnight trip to an eco-lodge this four day trip is fun for all ages. On the first day of your Laos tour package, you’ll be introduced to Luang Prabang with an e-bike tour of the city. These battery-powered bikes are an easy, fun and ecofriendly way to visit the main sites. Your family will cruise through quiet laneways and visit temples, stopping as often as you like for photos or to meet the friendly locals. 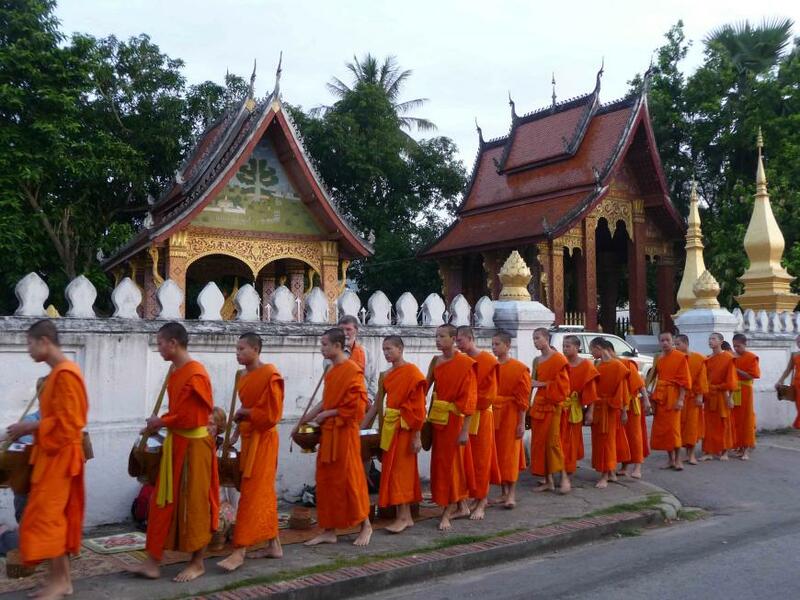 Awake early to join in the Buddhist merit-making cermony, where kids will have the chance to donate alms with local Luang Prabang families. The second day of your Laos tour then takes you to the Kuang Si falls on the outskirts of town. Swim in the clear waters, trek through the surrounding jungle and come face to face with sunbears at a rescue center nearby before enjoying a family picnic. A highlight of your Laos tour is an overnight excursion to Kamu Lodge. You’ll take a boat trip along the Mekong to a safari-style lodge in a hilltribe village where the whole family will enjoy the lodge’s range of activities: Plant rice with the locals, pan for gold in the river, take a walk through the surrounding fields or just enjoy the serene environment. This unique experience gives kids a taste of rural lifestyles and immerses them in an ancient culture. Beyond the daytime excursions, this Laos tour offers some unforgettable evening activities for families. Join in a neighborhood game of petanque as the locals gather each evening to play and socialize, partake in a traditional baci ceremony and receive warm blessings for your travels and venture through the colorful hilltribe night market. 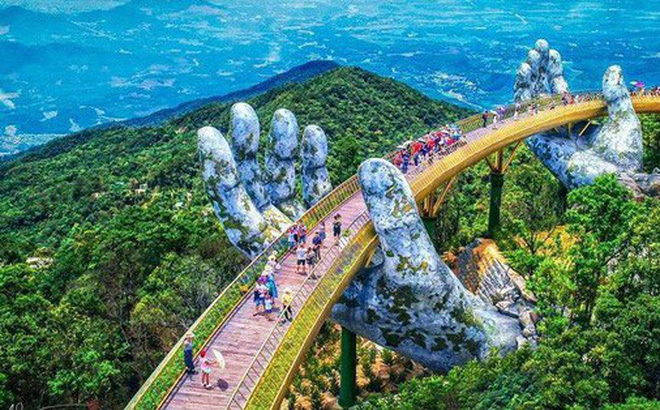 Using kid-friendly accommodation and including a range of exciting activities, this family Laos tour is sure to keep kids entertained and let parents enjoy a hassle-free vacation. This foodie journey gives guests’ ample opportunity to sample the best of the city’s culinary offerings at some of its most vaunted restaurants. There’s also scope to learn the basics of Lao food at a fascinating local cookery class. Siem Reap is the ultimate location for a family holiday and on this four-day Cambodia tour you will explore one of the world’s greatest temples, venture through the jungle on a treasure hunt, cruise past floating villages and interact with the friendly locals. Each day brings a new adventure that is sure to please both adults and kids. What better way to start your Cambodia tour than with a ride on an iconic tuk-tuk to the Angkor Archeological Park. Take a ride in a tethered hot air balloon, rising above the trees for a fabulous first view of Angkor Wat and surrounding temples. Returning to the ground, follow your guide through the endless corridors of Angkor Wat learning about Khmer history through the legends that are carved into the stone walls. 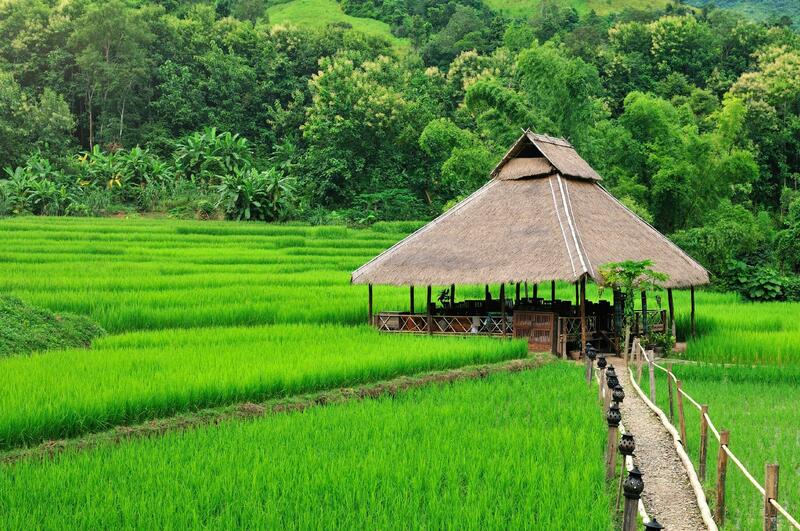 The second day of your Cambodia tour package takes you to the countryside for a glimpse of traditional village life. The morning begins with a trip to Kompong Phluck, a village where you will see houses on stilts that are submerged when Tonlé Sap Lake extends. Here you will board a local boat, passing floating houses and impressive flooded forests, portraying everyday life on the water. You will also finish the day with a performance of the unique Phare Circus, a truly memorizing evening! Return to the temples on day three for more kid-friendly touring. Start with an exploration around Angkor Thom and the incredible Bayon Temple with its famous headed statues before heading to Ta Phrom, also known as the ‘Tomb Raider’ temple. Exploring this jungle-clad temple is definitely going to be one of the major highlight of this Cambodia tour. Knowing that kids can easily get tired, we have integrated plenty of free time into this Cambodia tour. Choose to lounge by the pool at your hotel or select one of our optional excursions such as horseback riding, quad bike adventures, a trip to Beang Mealea temple or a visit to the Angkor Silk Farm. There is something to suit everyone, adults and kids. 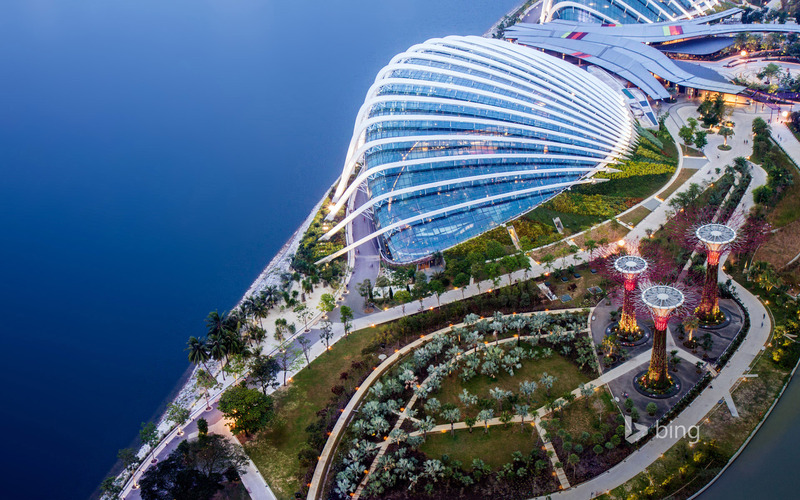 Combining culture, adventure and free time, this four day family holiday has the right balance of entertainment and education for all to enjoy. Spend three days relaxing, letting your days unfold naturally as you slip into the steady rhythms of laid-back beach life. Phu Quoc's palm-fringed, white sand beach and warm waters are the perfect setting for culminating a Vietnam tour. 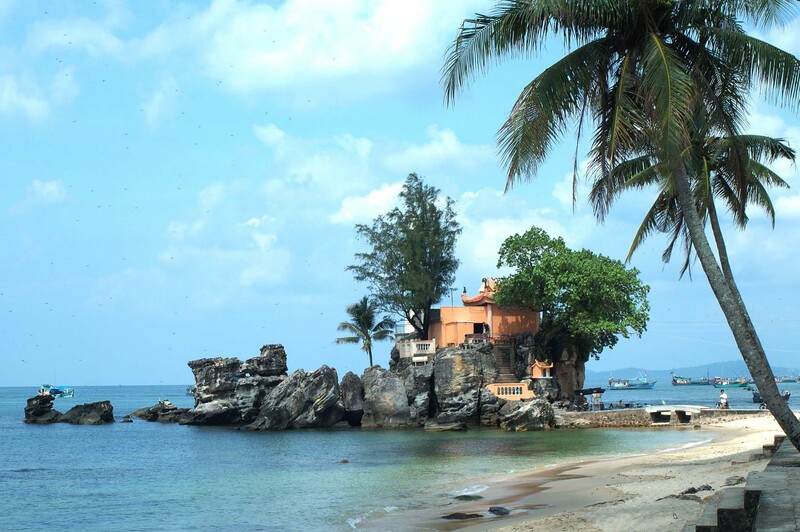 If you seek a bit more activity, Phu Quoc has a lot to offer. In addition to featuring its spectacular beach, this charming island is home to local villages whose way of life has remained unchanged over the span of generations. Excursions by jeep through the island's interior reveal small neighborhoods where the famed Phu Quoc fish sauce is made, sprawling pepper plantations and dozens of tiny fishing hamlets. 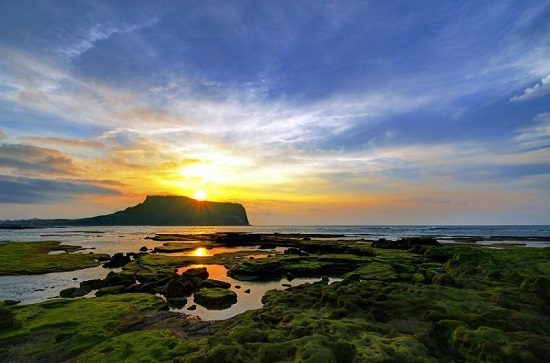 With freedom to plan your days as you wish at a fantastic price, our Phu Quoc Beach Break in Vietnam is the ideal, good-value extension to a Vietnam package tour. 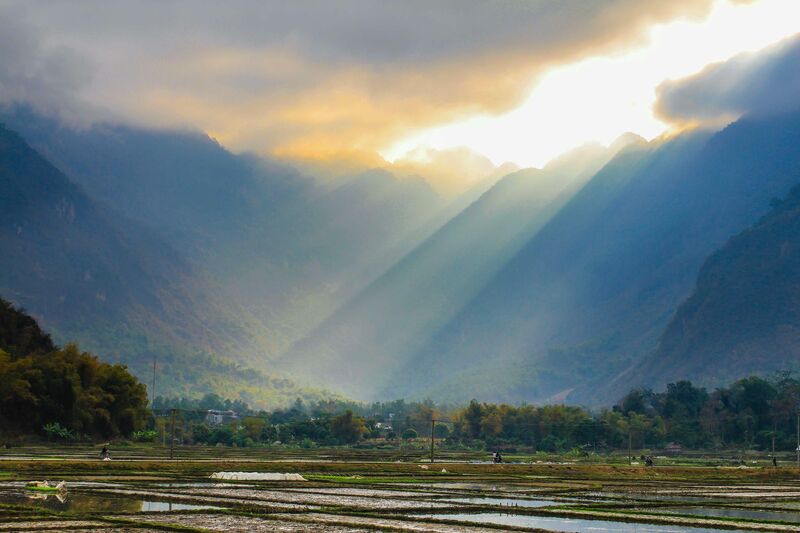 With its eclectic blend of cultures and beautiful landscapes, there is no better way to explore the Mai Chau Valley than a village to village walking journey. 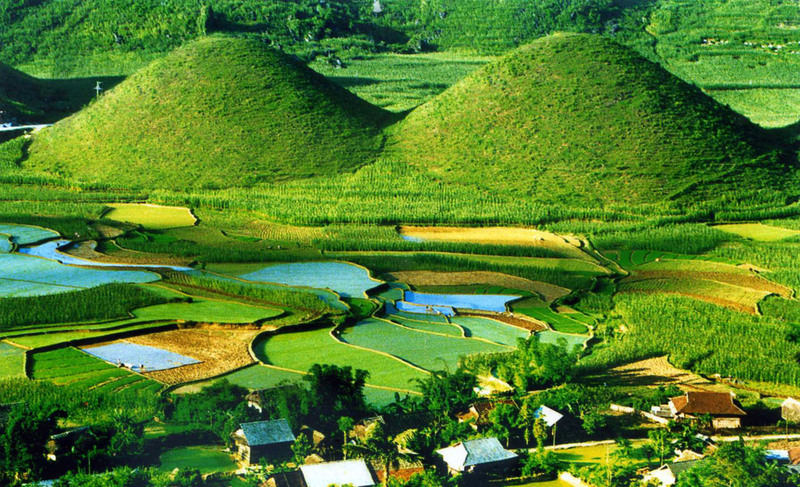 This Vietnam tour takes you through the heart of the Hoa Binh Province and Mai Chau Valley and includes unique homestays with the local hilltribe people. Leave the cityscape behind as you drive from Hanoi to Mai Chau for the start of your Vietnam tour. You'll be greeted by a local family, your hosts for the evening's homestay, and take a short walk around the village. Moving further into the Mai Chau Valley, the next day of trekking on this Vietnam tour takes you to Nameo Village and then through terraced rice fields and lush forests to Buoc Village for another homestay with the Thai people. Along the way you will have ample opportunities to soak in the stunning views of the rugged outcroppings and surroundings with a relaxing boat trip on the Sa River. Hike quiet paths to the Xalinh village on your final day in the Mai Chau Valley. Home to the Hmong people, you will pass low wooden houses, meet with friendly locals and encounter elders dressed in traditional costumes. If you happen to be there on a Sunday, the morning market is a kaleidoscope of colors as people from around the valley convene to buy and sell their wares. For this Vietnam tour we offer two options of accommodation. You can choose to stay in homestays each night or alternate between a two nights at Mai Chau Lodge with a village stay. The Lodge offers the modern amenities and rugged luxury of a mountain retreat without compromising the beauty of its natural surroundings. 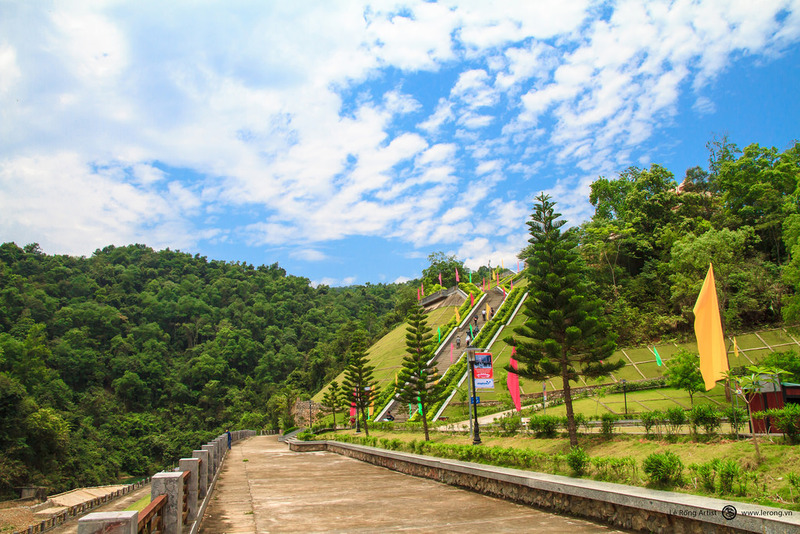 Our teams have sought out the best walking trails through Mai Chau's most scenic areas, resulting in an immersive cultural experience that is easy enough for everyone to enjoy. Join us on this Village to Village Walking Tour through Mai Chau and discover the rugged beauty and timeless traditions of Northern Vietnam.